As the weather in Detroit gets nicer, you might be preparing to take your classic car or motorcycle out for that first drive or ride of the year. You’ve been waiting all winter, and now that the sun is out and the roads are clear, you can’t wait to hit the highway. However, the first time you open the garage door to get to your vehicle, you realize there are a hundred things between you and your ride. At EZ Storage®, we can help you find the perfect self-storage unit for all of those items that are taking up space in your garage. 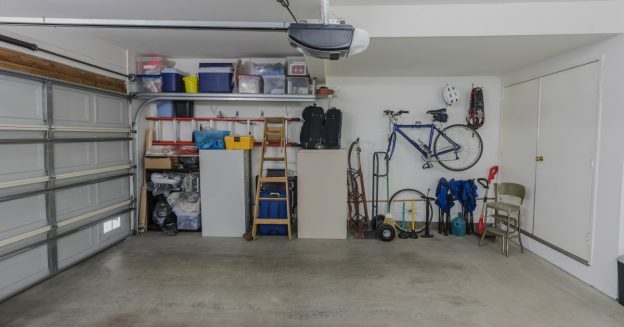 The first step you should take when organizing your garage is to get rid of clutter. Boxes from holiday presents or things you bought in bulk might be stacked up along the wall, and there’s really no reason to keep those boxes any longer. There may be old, broken tools in the garage as well, and you just haven’t gotten around to fixing them or tossing them. Spring is a great time to decide what you’re going to do with all that clutter. You can make more space for your car or motorcycle, and you can prevent anything from happening to your vehicle, should something fall over or off the wall. One of the best ways to organize your garage is to put up shelves and cabinets. You can go with freestanding units that hold tools, boxes, and more, or you can install shelves on the wall that keep things off the ground and where you can easily reach them. Instead of things being all over the place, shelves provide you with a spot for each item, and you can label each box for easy identification. As for cabinets, they can be a great way to get rid of visual clutter in your garage. The shelves inside the cabinet allow you to organize things, and closing the doors keeps things out of sight. Your garage can look more streamlined, and you’ll know which cabinet holds which tools and accessories. The garage isn’t always the best spot for valuable belongings such as photo albums or family heirlooms. If you have items with significant financial or sentimental value (or both), then it could be better to put those things in self-storage. That way, they’ll be protected, and you can have more room in the garage for your car or motorcycle, or for those projects that you’ll be working on this spring. With our month-to-month storage leases, you can rent a unit for as long as you need. If you’re trying to make more space in this garage this spring, then you can rent a unit from April to June. 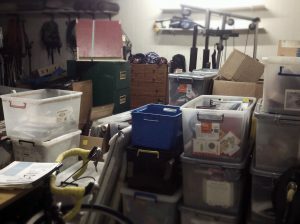 You might clean out the basement next and be able to bring some of your boxes and tubs home after a few months, and you won’t have to worry about being locked into a long-term contract. Find your Detroit self-storage solutions today!